Happy 20th Anniversary - Free Greetings and Wishes. 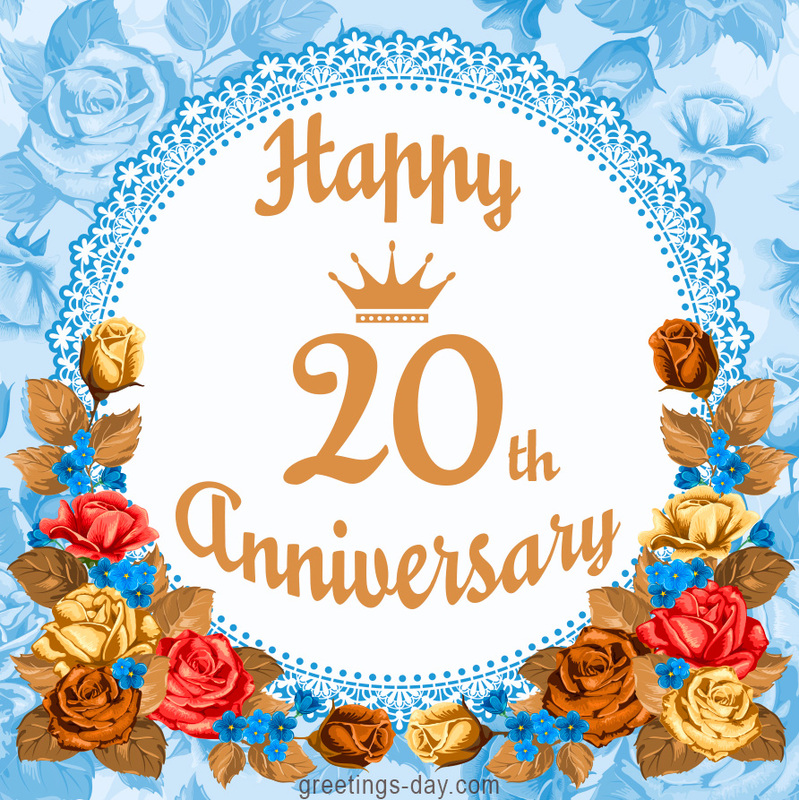 Home » Anniversary » Happy 20th Anniversary – Free Greetings and Wishes. Happy 20th Anniversary – Free Greetings and Wishes. Anniversary Ecards – Click and share on Facebook, Tumblr, Pinterest, Twitter or blog, web site or email for loved ones or friends.